Being diagnosed with diabetes is not the end of the world. It is true that life can get a little frustrating when you have so much to do to keep your blood sugar level under control and keep diabetes-related complications at bay. But thinking too much about it and increasing your stress level will only worsen your condition. Remember that diabetes is a balancing act. A balanced diet, an exercise routine, your medications and good support from family and friends can help you in managing your disease. In addition, there are certain small things that can help in your mission. Taking one step at a time and consistently following these tips is all you need to do. 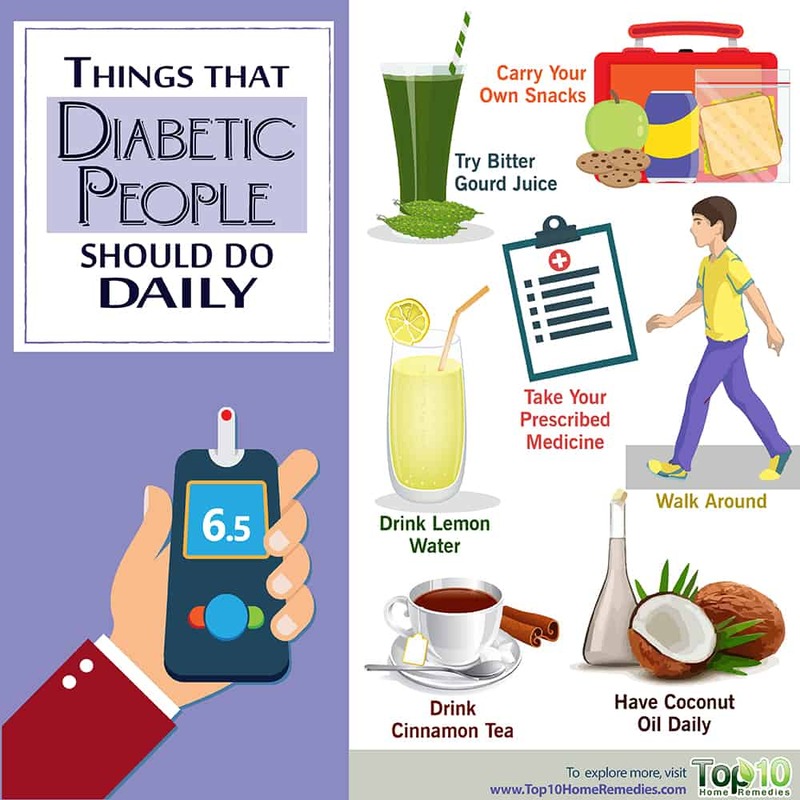 Here are the top 10 things that diabetic people should do daily. The first thing you need to do is closely monitor your blood sugar level. This allows you to make needed adjustments and helps reduce the risk of complications associated with diabetes. Check your fasting and postprandial (post-meal) blood sugar levels on a regular basis. 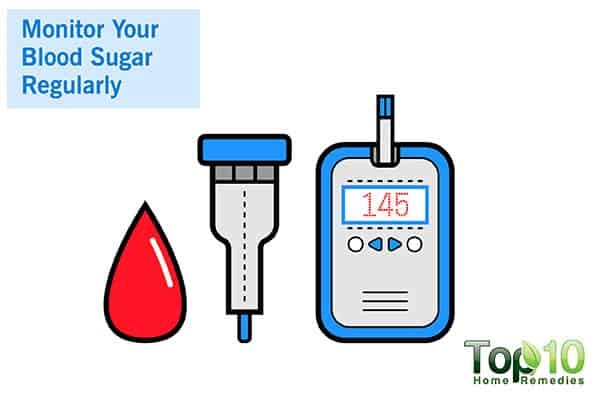 You must check your blood sugar level first thing in the morning to get your fasting rate, then two hours after eating your first meal. Your fasting blood sugar level should be less than 95 milligrams per deciliter (mg/dL), while your two-hour postprandial blood sugar goal should be less than 120 mg/dL. Checking your blood sugar is easy and anyone can do it at home. You just need to make a small investment in a blood sugar monitoring kit that includes needles to prick your finger, test strips and a little machine called a meter that reads your blood sugar level. Once you have the kit, all you need to do is prick your finger a little with the needle, squeeze a drop of blood onto a test strip and insert it into the meter. Within a few seconds, you’ll have the results in front of your eyes. Regular exercise is a healthy way to manage diabetes, as it helps lower blood sugar. It increases your body’s insulin sensitivity, which means your cells can absorb sugar from the bloodstream in a better way and then use it as energy for your body. Exercise also allows your muscles to absorb and use sugar for energy, even without insulin. When it comes to exercise, walking is one of the best options. 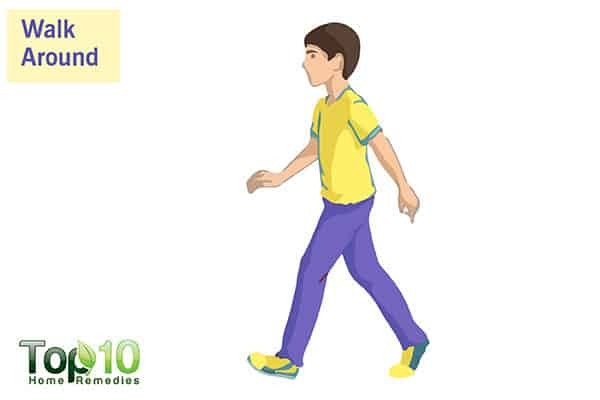 Brisk walking at a pace that raises your heart rate is an aerobic form of exercise that diabetic people should do daily. A 2005 study published in Diabetes Care reports that walking is probably one of the best things that a diabetic can do for their health (1). A 2012 study published in Diabetes Care examined 12 patients with Type 1 diabetes over 88 hours and found that taking a walk after meals significantly impacts postprandial glucose excursions (2). Experts recommend 30-minute walks at least five days per week for people with diabetes. Maintaining oral hygiene is important for everyone, but it becomes even more important for diabetics. Diabetes can lead to changes in the oral cavity that can give rise to oral health issues, such as gum-related problems like gingival hyperplasia and periodontitis (pyorrhea). Even dental decay, candidiasis, bad breath and xerostomia (dry mouth) are common. The American Diabetes Association reports that there is an increased prevalence of gum disease among those with diabetes (3). A 2012 study published in the International Journal of Preventive Medicine reports that oral health education and regular follow-up of dental problems in diabetic patients is much needed (4). For maintaining oral health, the ancient practice of oil pulling is very effective. A 2017 study published in the Journal of Traditional and Complementary Medicine reports that oil pulling, in addition to offering several oral health benefits, also has beneficial effects on overall health (5). The process of oil pulling is simple. Swish it around for about 20 minutes. Note: Do not gargle with it and do not swallow the oil. Those who are diagnosed with diabetes should include extra-virgin coconut oil in their diet plan. 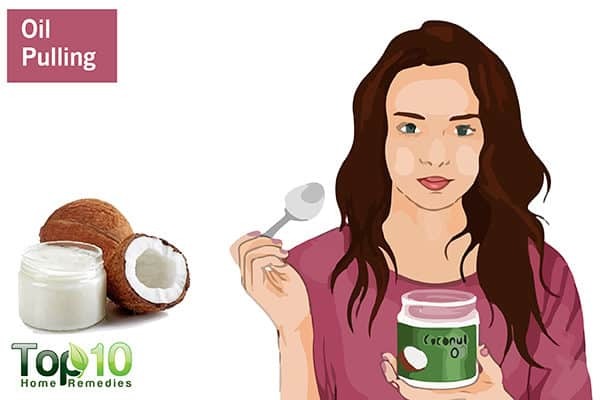 Coconut oil is known to help control blood sugar by improving the secretion of insulin. 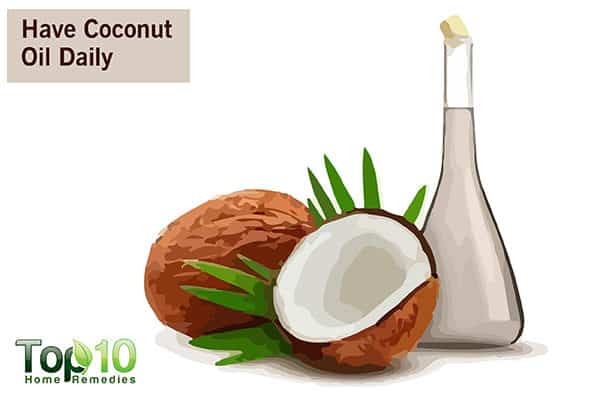 The medium-chain fatty acids present in coconut oil also reduce the risk of Type 2 diabetes. A 2009 animal study published in Diabetes found that a diet rich in medium-chain fatty acids, such as coconut oil, could help prevent obesity and fight insulin resistance (6). A 2010 study published in the Indian Journal of Pharmacology reports that lauric acid present in coconut oil may protect against diabetes-induced dyslipidemia (7). While coconut oil is beneficial, you must still consume it in moderation or it could increase your risk for heart disease. Include 1 to 2 tablespoons of extra-virgin coconut oil in your daily diet. 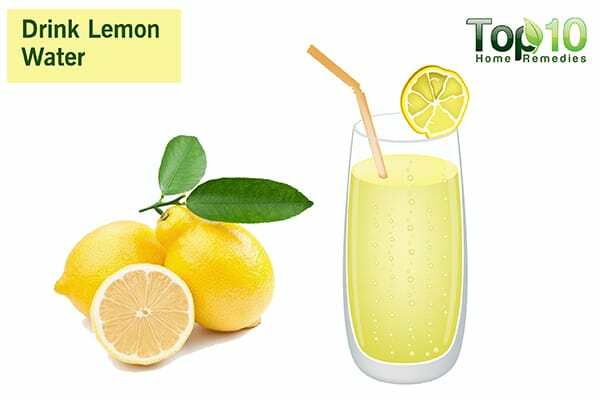 Lemon is very good for diabetic people. Even the American Diabetes Association includes lemons on their list of superfoods for diabetic people (8). Vitamin C in lemon is a powerful antioxidant that reduces free-radical damage in the body. 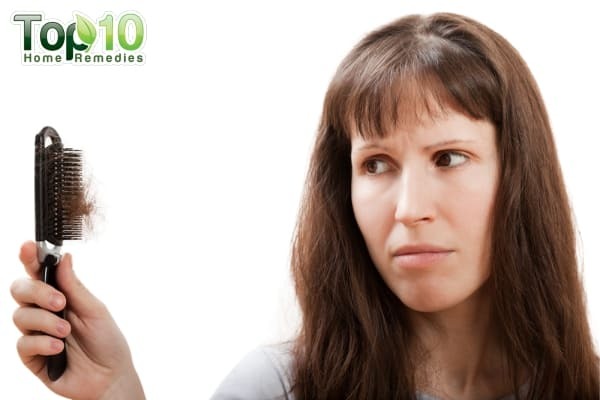 Free radicals damage cells and membranes, and can make it difficult to manage your blood sugar level. A 2014 study published in Advances in Nutrition highlights the positive effect of citrus flavonoids, naringin and naringenin on metabolic syndrome (9). Also, lemon has soluble fiber in it that helps reduce blood sugar. Soluble fiber can also help lower heart disease risk by helping to lower blood pressure and cholesterol as well as help with weight loss. Squeeze the juice from ½ of a lemon into a glass of lukewarm water. Optionally, add a little raw honey and mix well. Drink it first thing in the morning on an empty stomach. 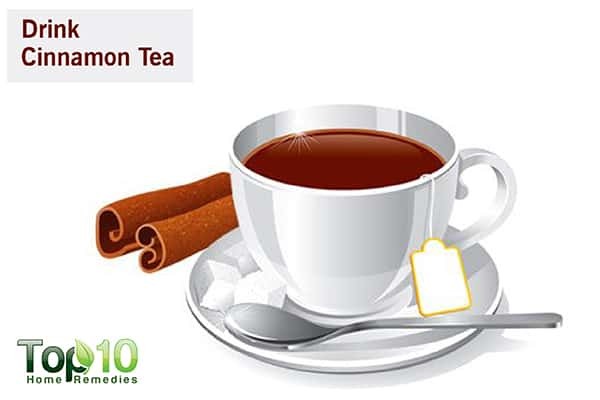 Drinking cinnamon tea is beneficial for diabetic people. There are several components in cinnamon that promote glucose metabolism. It also helps the body respond to insulin, thus normalizing blood sugar levels. A 2003 study published in Diabetes Care reports that intake of 1, 3 or 6 grams of cinnamon per day reduces serum glucose, triglyceride, LDL cholesterol, and total cholesterol in people with Type 2 diabetes and suggests that including cinnamon in their diet will reduce risk factors associated with diabetes and cardiovascular diseases (10). Another study published in the Nutrition Journal in 2015 found that cinnamon has the potential to be a useful add-on therapy in the discipline of integrative medicine in managing Type 2 diabetes (11). Steep a medium-sized cinnamon stick in hot water for 10 minutes. Drink the refreshing tea at least once a day. 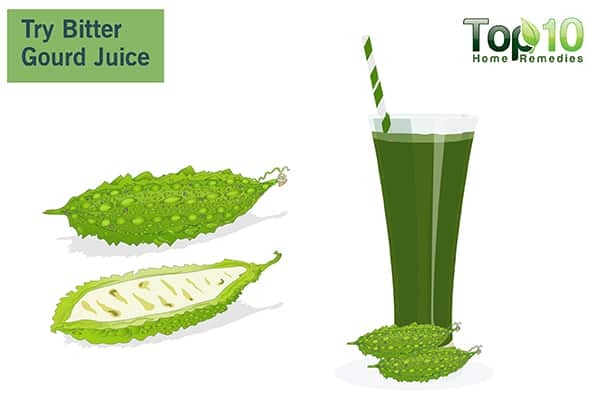 To control diabetes, drinking a glass of bitter gourd juice on a daily basis is highly effective. Bitter gourd has three active substances with antidiabetic properties, including charantin, vicine and polypeptide-p. It helps increase pancreatic insulin secretion and prevents insulin resistance, making it beneficial for both Type 1 and Type 2 diabetics. A 2011 study published in the Journal of Ethnopharmacology reports that a 2,000 mg daily dose of bitter melon significantly reduced blood glucose levels among people with Type 2 diabetes. However, the hypoglycemic effect was less than that found with a 1,000 mg/day dose of metformin (12). Later, a 2017 study published in the Journal of Traditional and Complementary Medicine showed the significance of hypoglycemic effects of bitter gourd and Knol khol juices among Type 2 diabetic patients (13). Drink ½ to 1 cup of bitter gourd juice on a daily basis. Lifestyle and dietary changes help in the management of diabetes, but you cannot ignore the importance of prescribed medicines. 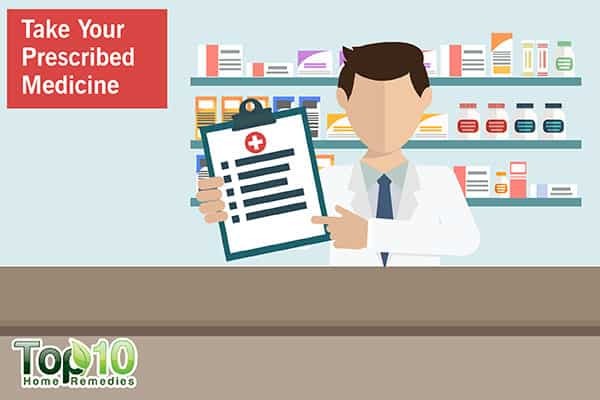 In fact, you must take the prescribed medicines as directed by your physician on a daily basis. You may need oral medicines or insulin to keep your blood sugar levels under control. Your doctor may prescribe oral insulin or insulin injections. 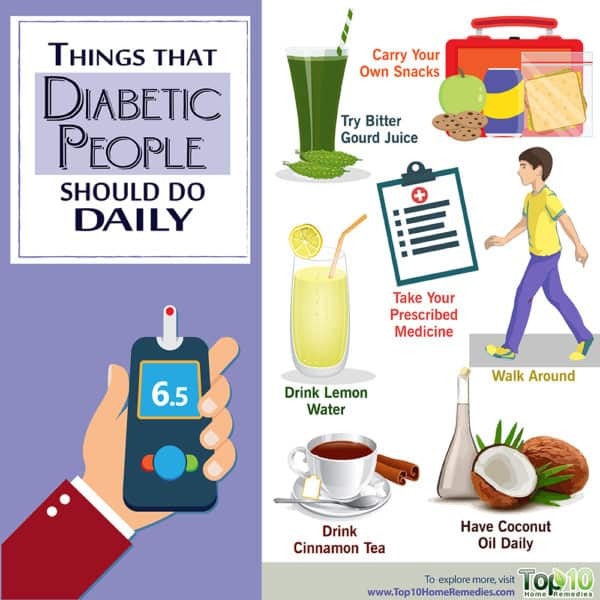 According to a 2017 study published in the American Journal of Pharmacy Benefits, people with diabetes who took their medications at least 80 percent of the time and people who exercised four or more times per week were at lower risk for poorly controlled blood sugar (14). Never forget to take your medicine. If your doctor has prescribed some supplements and vitamins, then you need to take them also. Those who are diabetic should take special care of their feet. Diabetic people are more prone to foot problems than other people. A 2009 study published in Diabetic Medicine reports that a high prevalence of neuropathy and peripheral vascular disease, along with poor adherence to foot care practices, predisposes people with diabetes to foot problems (15). It is very important to check your feet for signs of wounds or infections. Even small sores or blisters can become big problems if an infection develops or they do not heal properly. At the end of each day, closely check your feet. You must check the tops, sides, soles, heels and the area between the toes. Consult your doctor immediately if you discover any sores, redness, cuts, blisters or bruises. Whenever you go out, make sure to carry a big water bottle and some healthy snacks. People with diabetes are at a higher risk of suffering from low blood sugar, also known as hypoglycemia. 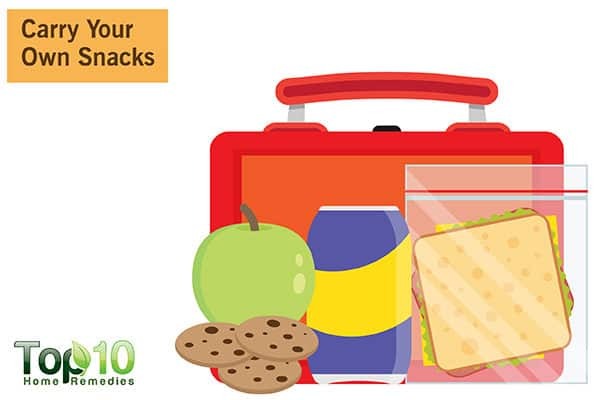 If it occurs, having carbohydrate-rich snacks with you is very helpful. Snacks like whole apples, oranges and roasted nuts offer the right nutrients to improve your blood sugar level while getting full satisfaction from your munching. Water is essential for hydration and carrying your own water bottle means you’re less likely to reach for sugary sodas to quench your thirst. You can set a reminder on your mobile phone to drink water at regular intervals. Walking and Type 2 Diabetes. Diabetes Care. http://care.diabetesjournals.org/content/28/6/1524. Published June 01, 2005. The Effect of Walking on Postprandial Glycemic Excursion in Patients With Type 1 Diabetes and Healthy People. Diabetes Care. http://care.diabetesjournals.org/content/35/12/2493. Published December 01, 2012. Diabetes and Oral Health Problems. American Diabetes Association. http://www.diabetes.org/living-with-diabetes/treatment-and-care/oral-health-and-hygiene/diabetes-and-oral-health.html. Diabetes and Oral Health: A Case-control Study. International Journal of Preventive Medicine. https://www.ncbi.nlm.nih.gov/pmc/articles/PMC3506093/. Published November 2012. Oil pulling for maintaining oral hygiene – A review. Journal of Traditional and Complementary Medicine. https://www.ncbi.nlm.nih.gov/pmc/articles/PMC5198813/. Published January 2017. Enhancement of Muscle Mitochondrial Oxidative Capacity and Alterations in Insulin Action Are Lipid Species Dependent. Diabetes. http://diabetes.diabetesjournals.org/content/58/11/2547.full. Published November 01, 2009. Effect of saturated fatty acid-rich dietary vegetable oils on lipid profile, antioxidant enzymes and glucose tolerance in diabetic rats. Indian Journal of Pharmacology. 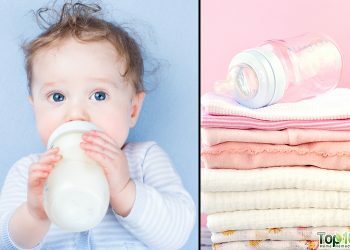 http://www.ijp-online.com/article.asp?issn=0253-7613;year=2010;volume=42;issue=3;spage=142;epage=145;aulast=Kochikuzhyil. Diabetes Superfoods. American Diabetes Association. 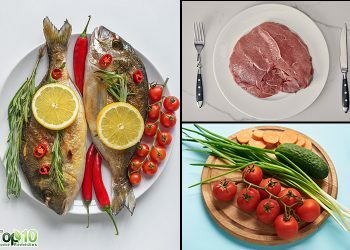 http://www.diabetes.org/food-and-fitness/food/what-can-i-eat/making-healthy-food-choices/diabetes-superfoods.html. Effect of Citrus Flavonoids, Naringin and Naringenin, on Metabolic Syndrome and Their Mechanisms of Action | Advances in Nutrition | Oxford Academic. OUP Academic. https://academic.oup.com/advances/article/5/4/404/4568623. Published July 07, 2014. Cinnamon Improves Glucose and Lipids of People With Type 2 Diabetes. Diabetes Care. http://care.diabetesjournals.org/content/26/12/3215. Published December 01, 2003. The glycaemic outcomes of Cinnamon, a review of the experimental evidence and clinical trials. Nutrition Journal. https://www.ncbi.nlm.nih.gov/pmc/articles/PMC4609100/. Published 2015. 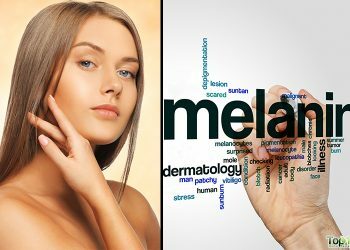 Hypoglycemic effect of bitter melon compared with metformin in newly diagnosed type 2 diabetes patients. Journal of Ethnopharmacology. https://www.ncbi.nlm.nih.gov/pubmed/21211558. Published March 24, 2011. Immediate effect of bitter gourd, ash gourd, Knol-khol juices on blood sugar levels of patients with type 2 diabetes mellitus: A pilot study. Egyptian Journal of Medical Human Genetics. https://www.sciencedirect.com/science/article/pii/S2225411017300147. Published February 15, 2017. Importance of taking diabetes medications as prescribed, exercising and managing weight. ScienceDaily. https://www.sciencedaily.com/releases/2017/06/170613102019.htm. Published June 13, 2017. Magnitude of foot problems in diabetes in the developing world: a study of 1044 patients. Diabetic Medicine. https://www.ncbi.nlm.nih.gov/pubmed/19719717. Published September 2009.